My Oil Pressure Light Stays On? My Oil pressure light stays on. This is a common fault, the old switch that is actually by your starter cover on the right hand side, is most probably buggered up and the ball check valve is seized, Simply remove and purchase another from Honda. But what I do is actually fit one of my OIL PRESSURE GAUGES on the side of the motor above where your points cover is, that way, this gives you a true reading of whats going on inside your motor at all times when the engine is running. 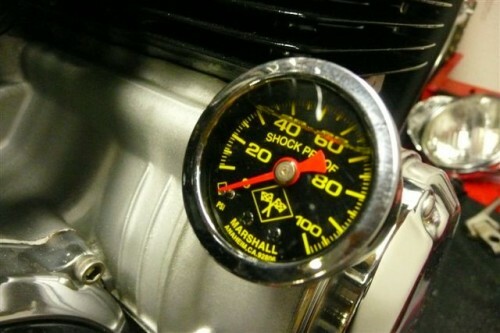 This entry was posted in Cycle Tips & Tech and tagged Light on, Oil Pressure Light, Says on.